Whenever it comes to landscapes of northern Europe, more precisely in the Scandinavian area, everyone imagines magnificent and beautiful snow-capped mountains, or the beautiful green valleys with streams passing through the houses. All these images seem more withdrawn from our imagination or a fairytale, are real, and we can often see them on the big screen. But not only nature lives in the Scandinavian countries, in addition to its beautiful natural scenery, also have the beauty of its picturesque towns. 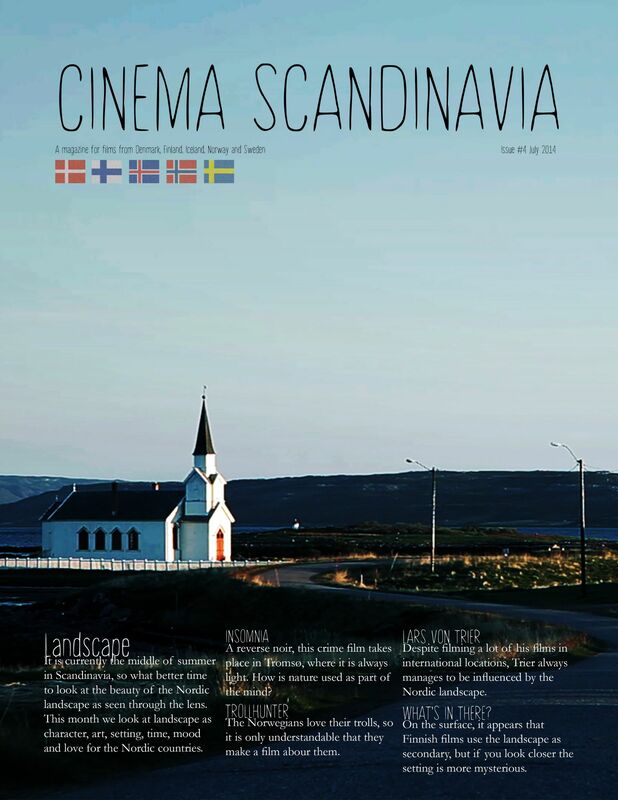 And it is this matter that I would like to focus on in this article, the urban landscape, in this case the city of Copenhagen, but never running away from our purpose, which is the seventh art, thus making the analogy between the film Submarino with the scenario of capital city of Denmark. Submarino is a 2010 film directed by Danish director Thomas Vinterberg, and based on the eponymous novel by also Danish Jonas T. Bengtsson. The film tells the story of two brothers having been driven apart by a childhood trauma, and the destructive habits they use to escape it. Since the beginning was left to chance of life, they are victims of abuse neglected by an alcoholic mother. Each will go his own way, and years later on the death of their mother, they will return to meet again. Thus deprived of any hope, the two brothers make a descent into hell with this underworld of contemporary Copenhagen as a backdrop.Submarino exists from the relation of cause and effect as soon as he begins to appear, ie Vinterberg begins his film with a sort of prologue, where we saw the two brothers take care of their little brother, until to the tragic event which leads to death of the baby. Thence the movie starts from this relationship, the cause for the rest of the plot is precisely that this tragedy will cause the proper effect in adulthood Nick (Jakob Cedergren) and his younger brother, which is not known the name (Peter Plaugborg). In Submarino, the two brothers live in their own worlds, struggling with the ghosts of the past and trying to make the very best every day. Only it seems that the more they try to do the best, more they sink into complicated stories. They apparently can not overcome this heavy legacy left by their mother, Mona (Helene Reingaard Neumann). Nick took no great path, his life began to be soaked in alcohol and plagued by violence, while his younger brother underwent another tragedy, the death of his wife, being a single father with his son Martin (Gustav Fischer Kjaerulff) in their charge, and the fight against heroin addiction. of characters. This is a case of perfect harmony, where city and film go hand in hand over an hour and fifty minutes. The director chose the city to run the whole movie. Copenhagen is a city that is sometimes chosen for the scene of some films, such as the Pusher Trilogy (1996, 2004 and 2005, directed by Nicolas Winding Refn; Flame & Citron, 2008, by Ole Christian Madsen; After the Wedding, 2006 directed by Susanne Bier, among others. Apart from its natural beauty and cinematic, Copenhagen and Denmark belong to the group of countries that is called the Welfare state, which “is a concept of government in which the state plays a key role in the protection and promotion of the economic and social well-being of its citizens. It is based on the principles of equality of opportunity, equitable distribution of wealth, and public responsibility for those unable to avail themselves of the minimal provisions for a good life.” The general term may cover a variety of forms of economic and social organization. The sociologist T.H. Marshall identified the welfare state as a distinctive combination of democracy, welfare, and capitalism. Scholars have paid special attention to the historic paths by which Germany, Britain and other countries developed their welfare state. Modern welfare states include the Nordic countries, such as Iceland, Sweden, Norway, Denmark, and Finland which employ a system known as the Nordic model. Esping-Andersen classified the most developed welfare state systems into three categories; Social Democratic, Conservative, and Liberal. The welfare state involves a transfer of funds from the state, to the services provided (e.g. healthcare, education) as well as directly to individuals (“benefits”). It is funded through redistributionist taxation and is often referred to as a type of “mixed economy”. Such taxation usually includes a larger income tax for people with higher incomes, called a progressive tax. This helps to reduce the income gap between the rich and poor. Copenhagen is the capital of Denmark, a small Scandinavian country recognised for its high quality of life. Denmark has two particularly relevant policies for the rising cost of living: one of the freest economies in the world and one of the most restrictive immigration policies in the world at the same time. In cities, people attract people: agglomeration is the reason why cities exist, approaching humans and facilitating exchanges and interactions between them. So Copenhagen is the main magnet population of the country, where are the best options for work, education, culture and leisure. • is considered by many travelers as the cleanest city in Europe. Returning to film, Vinterberg to tell your story draws on a resource (and very well) famous by Quentin Tarantino, who is to narrate asynchronously two parallel stories. And to give even more strength to their history, the visual language that he and his director of photography Charlotte Bruus Christensen wisely used to portray the characters’ lives and allow the viewer immerses the screen. Nick usually appears indoors in intimate plans, reflecting the isolation self-imposed by itself, or imprisonment in cramped and claustrophobic environments, as is the room of the hostel in which he lives. In another perspective his brother is always seen in the shadows, with little or no lighting, revealing the dark air of their addiction, shame and regret their actions. The whole narrative enjoys the excellent soundtrack that accompanies it, as well as the magnificent work of main actors that carry virtually the entire film on his back, but also could not help but mention the brilliant work of the boys who play the two actors as children Sarning Bull Sebastian (young Nick) and Mads Broe Andersen (young Nick´s brother) as well as the great work of the small Martin (Gustav Fischer Kjaerulff), that for sure without them the movie would not have the same brilliance. In conclusion I would just mention that Submarine is one of the most rapturous beginnings of cinema, is clearly a signature of Thomas Vinterberg – forerunner of the Dogma 95 movement, along with director Lars von Trier – which debuted this his work in February 2010 at the Festival Berlin. Despite the absence of direct violence in the most of the film, this has an ending that shows a slight glimmer of hope when we just watch we get the feeling of “punch in the stomach”, as it is shown that, often, the suffering is inherent to life of every human being and there is no escaping it. Submarino lives up to its name, not allowing the viewer reaches the surface, keeping it in the dark depths of the sea bottom, in anguish that is imposed on good and honest characters that due to a past family tragedy in childhood, find themselves marked for all life. Individual articles will be available for download in a few days.